ACT (Atria Convergence Technologies Pvt. 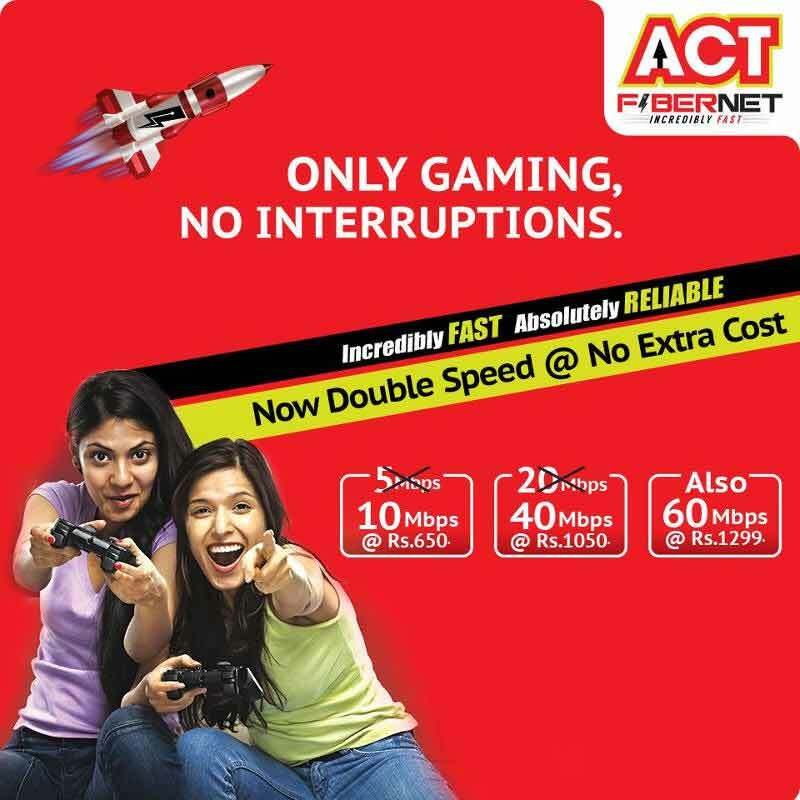 Ltd.) has reduced their tariffs for ACT Fibernet customers in Hyderabad. Company has also increased the Speed for post FUP data usage. The 100Mbps plan is priced at RS 1999, while previously it was at RS 2799. Not just that Company has also increased the speed for customers using 20Mbps and 5 Mbps to 40 Mbps and 10Mbps respectively without any extra cost. The cheapest plan start from Rs 410 and offers 1Mbps of speed up to 35GB and 512Kbps after FUP limit ( Fair Usage Policy). The A-Max 1050 Plan comes with 100GB of FUP limit at 40Mbps speed and 3Mbps speed for post FUP limit. As of now new plans are not for Bangalore, Delhi, Chennai , Eluru, Nellore, Vizag / Visakhapatnam. These Plans will effect customers in Hyderabad only starting from 8th September 2015.